Magic is on the move... into the real world. As Eric and his friends venture beyond the jeweled door and down the dark stairway, they enter a whole new chapter in their Droon adventures. They enter the "Upper World" -- our world. 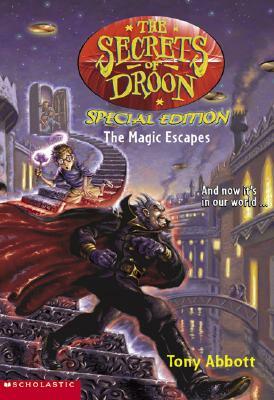 In this exciting special edition, for the first time ever, the magical world of Droon is expanding into the real world. Wizards, goblins, and all kinds of magical mischief are in store -- and this time, it's not just a wonder of Droon. It's a reality.